Give Eleven a safe home to shelter in this holiday season. 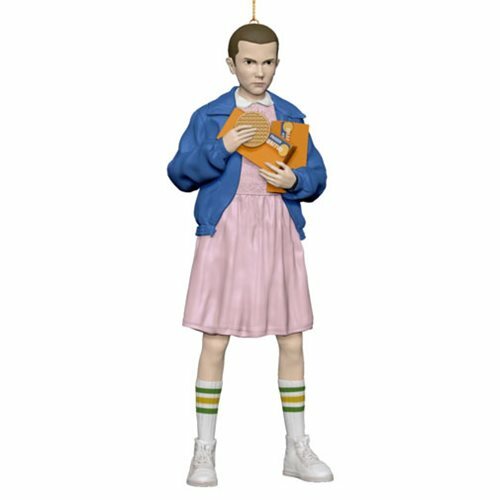 This Stranger Things Eleven Resin Figural Ornament features the powerful Eleven in her first season outfit, clutching waffles. Made of resin, it measures approximately 4 1/2-inches tall.